Does your dog suffer from itchy, sensitive skin? At Aussie Pooch Mobile we can use our Sensitive Skin Cleanser that is a plant derived, gentle shampoo in our Classic Hydrobath Service. The Sensitive Skin Cleanser contains Vitamin E and Coconut Oil. This solution will be massaged into your pooch’s skin with gentle, soothing movements and will leave your pooch feeling calmer and less irritable. It is very important to keep your dog’s skin as clean as possible. This will therefore keep dirt, mites and dust away from their sensitive skin causing them to have less irritations. 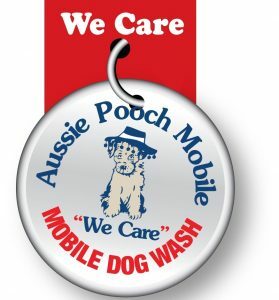 Your local Aussie Pooch Mobile dog groomer may also recommend a Pooch Mobile Conditioner be used after the hydrobath. This will further help soothe your dog’s sensitive skin. Just like humans, dogs can be born with a sensitive, irritable skin that will always need to be treated with care. A few of the tell tail signs are itching and/or inflamed red skin. Certain types of food can cause their reaction to become more severe. 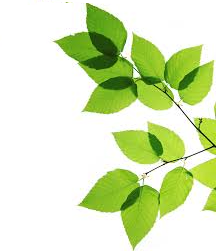 Plants in your garden or certain types of plants that your dog comes into contact with can also effect their skin. While a visit to the Vet is necessary for treating severe skin allergies and infections, making a few simple changes to your dog’s routine can improve the overall health of the coat and skin. It is very important to keep your dog’s skin as clean as possible by bathing them on a regular basis. Or call us to do it for you, that way you will know that the solutions will be specifically made for dogs and beneficial for their skin. Bathing them regularly will keep dirt, mites and dust away from their sensitive skin causing them to have less irritations. Use child-safe SPF 30 to 50 sunscreen on sensitive parts of your dog – check with your Veterinarian to make sure it’s safe to use on your dog first. Groom your dog regularly. This will help remove dirt and allergens from your dog’s skin and coat and will help prevent irritation from occurring on the skin. Check plants in your garden. 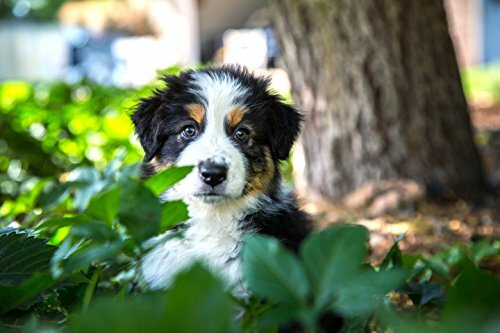 Often dogs can be allergic or have reactions to different types of plants growing in your garden. Although this is not always the case. If you remove the plant you may find your dog’s skin reactions settle. Supplement your dog’s diet with omega oils. These help to keep the skin hydrated and healthy therefore helping to reduce irritations.